Pricebusters Saving Your Hard Earned Money: Trade in Your Air miles for Groceries! Up till now it's been Shell and Rona for cashing in my air miles. 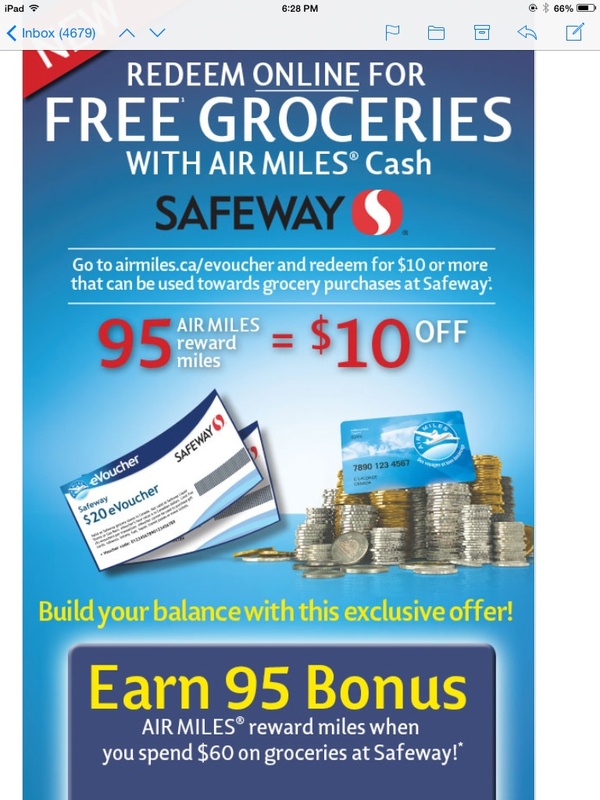 Now, you can use your air miles for $10 off at Safeway! Just go to airmiles.ca/voucher and print your $10 off., when you redeem 95 air miles. It says the offer of spend $60 and get 95 air miles is exclusive, but maybe you got it too?? ?